This calendar features beautiful landscapes from across America. 2020 Calendar. 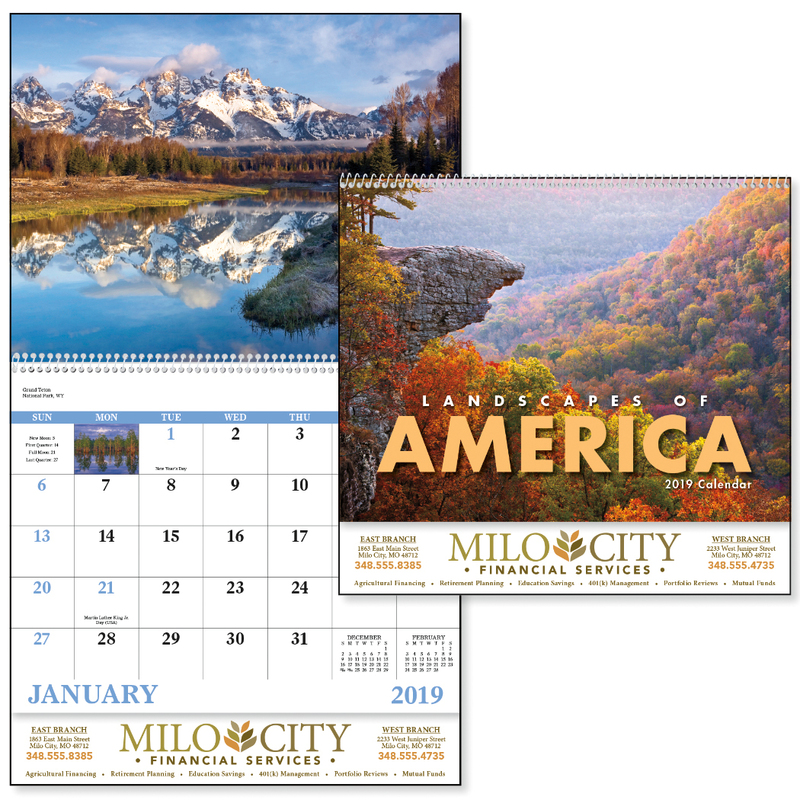 13-Month calendar with Dec 2020 printed on backmount. Gloss Paper Stock with UV Coated Cover. High-quality Imagery. Top markets: retail, financial, insurance.